This film is a two minute trailer of our ‘Walk in Shoes’ filmed performance. 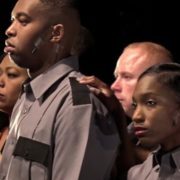 The production was created and performed in 2017 with four Philadelphia police officers and three community members sharing their personal stories and visions for the future. The film is a one hour recording of the live performance. Created by: Artistic Director Teya Sepinuck, with Philadelphia Police Inspector Altovise Love-Craighead. Music by Jay Fluellen. Filmed by Third Eye Productions and edited by Dax Mackenzie Roggio. This is a 7 minute excerpt from ‘Walk in my Shoes ‘ created and performed by Philadelphia police and community members. Hakim’s story is deeply moving account about the legacy of racism in his life and how it directly led to his own trauma and eventual road to prison and now healing. It is a story we all need to learn from and be inspired by. Created by Artistic Director Teya Sepinuck with Philadelphia Police Inspector Altovise Love-Craighead. Music by Jay Fluellen. Filmed by Third Eye Productions. Edited by Dax Roggio. ‘Anne and Kathleen’ is 13 minutes of excerpts and highlights from Kathleen and Anne’s parts from the original Theatre of Witness production, ‘I Once Knew a Girl’, produced by The Playhouse in Derry Northern Ireland in 2010. These excerpts were filmed as part of Margo Harkin’s award winning documentary film “The Far Side of Revenge, available through Besom Productions. A full performance DVD of the entire Theatre of Witness production is available through The Playhouse. One ordinary moment in time, and everything has changed. 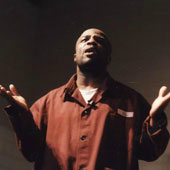 Living with Life is a unique and emotionally powerful video based on an original, live theater piece featuring eight men serving life sentences at the State Correctional Institution in Chester, PA. This video illuminates their true stories about their lives before incarceration and during their more than 177 cumulative years behind bars. The video documents the performance in spoken word and song, enhanced by interviews with the men and with their families. 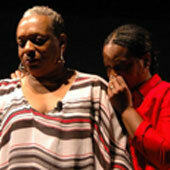 The video speaks to issues of remorse, forgiveness, patience, strength and spirit. 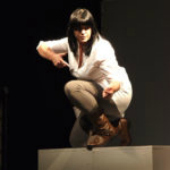 Artistic Director: Teya Sepinuck. Music: Greg Scott & the Performers. 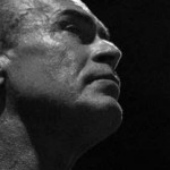 There are a thousand miles on the Road to Redemption. You never have to walk alone. This film by Rachel Libert is based on the original TOVA production portraying the true stories of families affected by violence. Created with and performed by former offenders and family members who have lost loved ones to murder or prison, the video examines the affects of violence on the entire community and speaks to the power for forgiveness and healing. Rachel Libert’s documentary expands the live theater production with additional portraits of the performers, both in their every day lives and in reflection about their own healing. The streets, neighborhoods, courts and prisons of Philadelphia provide a rich backdrop for the film. I sweat strength. Even my tears are strong. Based on an original, live Theater of Witness production, this video breaks the silence that often shrouds domestic abuse. It does so by weaving the stories of eight performers, who come from different countries, cultures and backgrounds but share the common experience of having been victims, perpetrators or witnesses of domestic abuse, into a collective cry for understanding, action and healing.The film serves as a powerful catalyst for dialogue about abuse, violence, trauma, survival, resiliency, recovery, and individual/collective responsibility.The production was designed to educate communities about domestic violence and underscore the reality that there is hope for healing and transformation. Artistic Direction: Teya Sepinuck. Music: Niyonu Spann, Greg Scott and Marcella Woodridge. You’re a deadbeat dad. Missing in action. Erased from my heart. Shadows was created with fathers, sons and husbands incarcerated at the State Correctional Institution at Graterford PA., and mothers, wives and children who have struggled to maintain family and community in the absence of their loved ones. 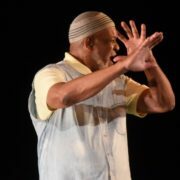 The original Theater of Witness production was performed by recently released prisoners and family members who play the parts of the still incarcerated men, and women and children who portray their own life stories. If I can help one woman know she is not alone, then this path would have been worth the pain. “Some Life on These Bones” is a celebration of strength and sisterhood of eight women who transformed their lives after struggling with homelessness, addiction, domestic violence, sexual abuse, disability, and/or poverty. This video, which weaves live performance excerpts from the original theater production with interviews and backstage clips, tells the story of these women’s individual and collective journeys of recovery and transformation. Do we all hear with different histories coursing through our genes? The Playhouse in Derry Northern Ireland Theatre of Witness’s first original production was “We Carried Your Secrets”. This video follows the performers from early rehearsal through the tour of the production as they collectively journey through grief, understanding, healing and connection, showing how theatre can be used as a powerful tool for peace and reconciliation in a post -conflict society. Sometimes I feel ancient. Sometimes I feel a thousand years old. A documentary directed by Declan Keeney. ‘Release’, was a highly acclaimed original Theatre of Witness production created in 2012 by Teya Sepinuck with six men who were greatly impacted by the legacy of the Troubles in Northern Ireland. A former British Soldier, prison governor, detective, two prisoners and a man who was caught in a car bomb as a child share their own stories publicly. This documentary, directed by Declan Keeney further explores the idea that everyone has a past; but should they be defined by it? The film models how those who in other circumstances would be considered ‘enemies’, come together in the name of peace and brotherhood.